The markets may have started with a rough correction, but there has been an incredible rally that has erased many of the losses. But interestingly enough, plenty of tech stocks have not participated in the comeback. Wall Street may be in a rotation, moving away from growth to value stocks. But there are also concerns about the competitive environment, as well as the ominous signs of slowing economic growth. So, for contrarian investors, perhaps there is an opportunity here? And maybe Wall Street has already discounted the bad news? 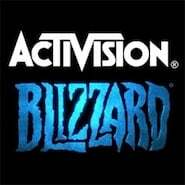 The gaming business is certainly volatile, as seen with the recent underwhelming earnings report from Activision Blizzard, Inc. (ATVI). The company missed expectations on profits, which was the first time in five years. But then again, the holiday season was particularly tough. Consider that Walt Disney Co’s (DIS) “Star Wars” franchise got a big share of customers’ wallets. But there should be some other catalysts to get the stock moving. ATVI greatly boosted its mobile footprint with the acquisition of King Digital Entertainment. The reach is now over 500 million users, and there should be lots of potential synergies with ATVI’s existing list of titles for consoles and PCs. Finally, the company is making aggressive moves into the e-sports category, such as with the recent purchase of Major League Gaming (MLG). This involves staging tournaments where top-notch gamers compete. And the market potential is enormous. According to the analysis from SuperData, the eSports category is expected to generate $2 billion in revenues by 2018, with 240 million viewers. Among the potential stocks to buy in the tech space, Cerner Corporation (CERN) is likely not to be one mentioned a lot. The company does not get much buzz. But investors should pay some attention to CERN, especially since the valuation is much more reasonable now. Keep in mind that — during the latest quarter — the company missed expectations on bookings. However, it is important to realize that CERN’s business can be volatile because it generally sells to major customers, which means that deals are more complex and can take longer. Basically, Cerner is one of the world’s top suppliers of health care information technology, with its systems installed at over 20,000 facilities across the world. The company has two core product offerings. One is Cerner Millennium, which provides for secure access of electronic health records as well as comprehensive management of clinical, IT and financial data. Then there is HealtheIntent, which provides similar services — but uses cloud technologies. Going forward, Cerner’s business should continue to see robust demand. After all, the U.S. healthcare system is undergoing tremendous change so as to lower costs. But to do this, there will need to be the kinds of technologies that Cerner provides. For example, the company recently implemented its HealtheIntent platform in a state’s Medicaid population, which helped to improve the outcomes to an “optimal level,” according to the most recent earnings call. More importantly, few operators have the scale and experience to pull this off, which means the company has a nice moat against the competition. Lately it has been a horrible ride for investors in Tripadvisor Inc (TRIP). For the year so far, the stock is off about 27%. So what’s going on? For the most part, there are concerns about the emerging competition, as well as worries about the global economy, which could hinder travel expenditures. But over the next couple years, there are some key drivers that can help get TRIP stock back on track. One is that the company has been diversifying away from its core advertising business model by implementing its instant booking business. In fact, it is now available on a global basis and should provide a potentially strong new revenue stream. There should also be a lift from a recently signed partnership with Priceline Group Inc (PCLN). What’s more, TRIP has been expanding into other categories. Perhaps the most impactful one is attractions, which could mean some interesting opportunities to get juicy lead-generation fees. Interestingly enough, TRIP thinks this could be the company’s next billion-dollar revenue business. Besides, when it comes to travel reviews, the fact remains that the company is a dominant player — and it will be tough for competitors to get an edge. TRIP gets over 200 reviews per minute for a total of over 320 million. When looking for stocks to buy, it may seem not to be a good idea to look at those companies focused on the enterprise market. With the economic uncertainty, CEOs may be more inclined to hold off on major IT purchases. But this may turn out to be an advantage for Red Hat Inc (RHT) because the company focuses on open-source software, which is generally free. Rather, to make money, RHT charges for premium services, education and various subscriptions. Furthermore, open-source software has another key advantage: it is fairly easy to customize. No doubt, this is incredibly important for large clients. So it should be no surprise that RHT continues to grow at a nice pace. In the most recent quarter, revenues jumped by 18% to $479.6 million and earnings came to $53 million. If anything, RHT has been a model of consistency, with 56 consecutive quarters of revenue growth. But things may actually start to perk up even more. Consider that RHT has been investing heavily in its cloud infrastructure business. Essentially, it allows customers to choose from a variety of providers, such as Microsoft Corporation (MSFT), Alphabet Inc (GOOG, GOOGL) and Amazon.com, Inc. (AMZN). In fact, during the latest fiscal year, the business posted more than $100 million in revenues, up about 90%. 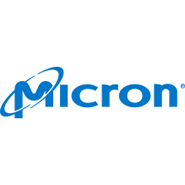 For tech stocks, Micron Technology, Inc. (MU) has been nothing but misery for shareholders during the past year. The return? It’s about -61%. But for investors looking for contrarian stocks to buy, MU does look like an interesting candidate. Granted, there are big-time issues with this memory chip operator, as revenues plunged 30% in the latest quarter. Then again, the company has a highly efficient infrastructure. In fact, MU was still able to pump out an impressive $763 million in operating cash flows. Actually, there are some potential catalysts that can help bring back some growth. For example, MU has been getting traction with emerging categories like the automation of cars and homes. Oh, and there is the Internet of Things. All these will generate strong demand for memory chips. Next, MU has a strong product line. To this end, there is the GDDR5X, which allows for super-fast graphics processing, as well as the 20 nanometer 8GB chip, which should gin up lots of interest in the enterprise market. And finally, MU should get a boost from its investment in mobile and its next generation 3D NAND chips, which involve a major partnership with Intel Corporation (INTC). Finally, the valuation on MU stock is at rock-bottom levels, with the price-to-earnings multiple at a mere 6X. In other words, it will probably not take too much good news to bring back some hope to the stock price. Tom Taulli runs the InvestorPlace blog IPO Playbook. He is also the author of High-Profit IPO Strategies, All About Commodities and All About Short Selling. Follow him on Twitter at @ttaulli. As of this writing, he did not hold a position in any of the aforementioned securities. Article printed from InvestorPlace Media, https://investorplace.com/2016/04/tech-stocks-to-buy-atvi-cern-trip-rht-mu/.